You’ve got creativity, determination, and marketing skills. 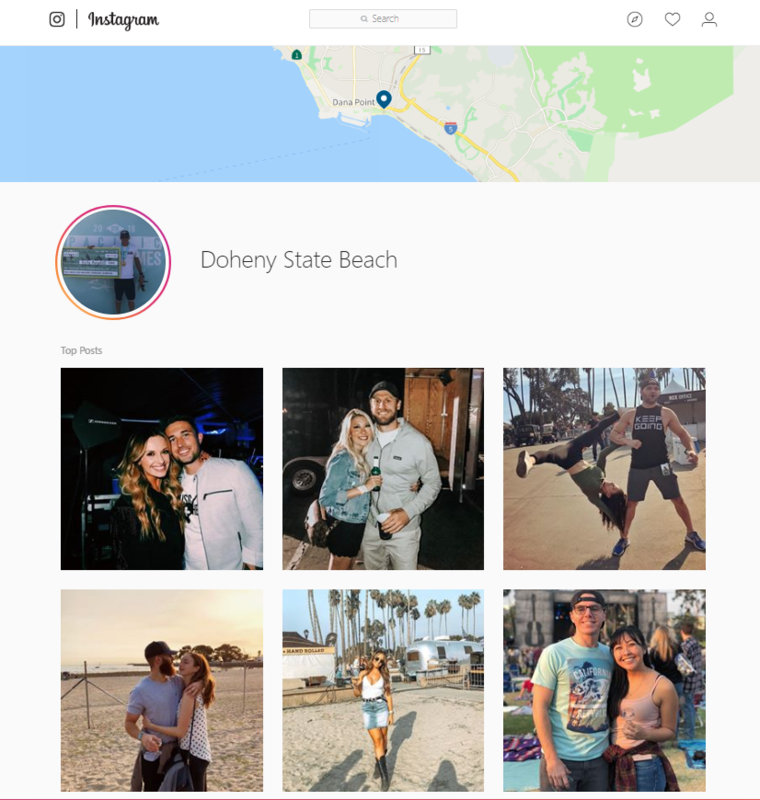 We’ve got a roadmap that shows you how to use them on Instagram. Discover the 7 tools that make up Instagram for Business. Find out how stickers,, hashtags, and Highlights can bring your posts and Stories to life. Feeling a bit “out of the loop” when it comes to Instagram? Maybe you’ve read all those “expert tip” articles, but your business still isn’t “Killing it on Instagram” as promised? Instagram is confusing because you need to understand how the platform works BEFORE you start filming, photographing, and posting. And no one’s explaining it. What are the main tools of the Instagram platform? 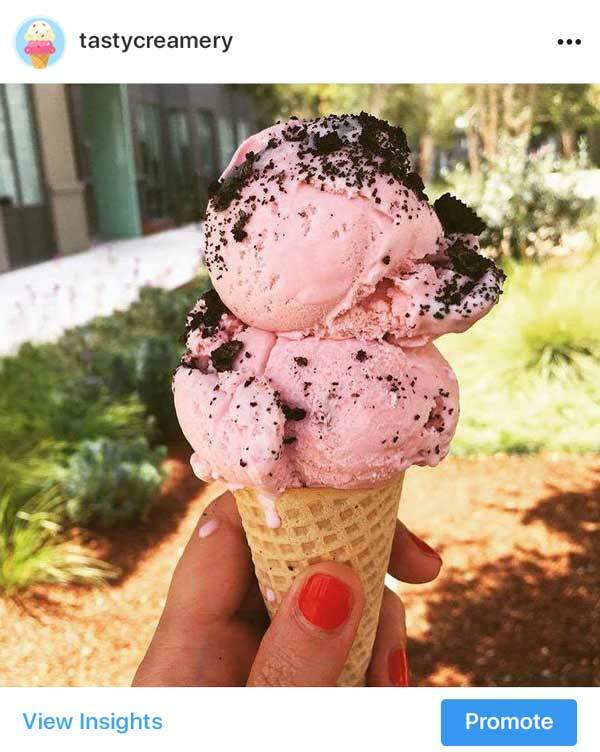 What do marketers need to do BEFORE publishing on Instagram? What kinds of features can you use for the different types of content? How do you get started one step at a time? Instagram for Business is a dedicated business account that allows you to promote your brand on the platform. It doesn’t cost anything to convert your personal Instagram account to a business account. But it does give you extra features and insights designed to help your brand succeed on Instagram. Your business profile is like your homepage on Instagram. It’s the 1st-stop for any reader who wants to know more about your company, so you want to be sure it’s optimized like a superstar. When people discover your content through sharing, hashtag searches or the explore feed, they usually want to find out who you are before they follow you. So they click on your username, which takes them straight to your profile. 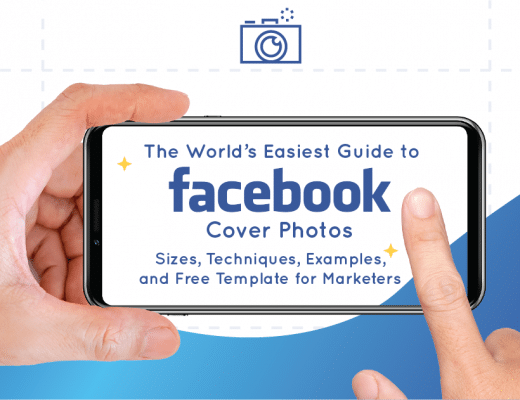 An actionable Instagram business profile can dramatically boost your engagement rates and drive a healthy amount of traffic and conversions for your business. An Instagram post is an image or a video that contains a caption or message. Here’s an example of an image post from Airbnb. Barcelona will make a mark on you. Local artist Yuri wants to help you return the favor. He’ll take you around the Poble-sec neighborhood to get inspired—and maybe catch some of his favorite street artists in action. Then, after some brainstorming, you’ll co-create a wall painting in Tres Chimeneas, a power-plant-turned-cultural-hub. Dress for splatter. ⠀⠀⠀⠀⠀⠀⠀ Click the link in our bio for more #AirbnbExperiences that let you take part in a city’s art scene. You can also create video posts as long as your video is no longer than 60 seconds. Made with the finest bat warts, hand sourced by one mischievous witch. ✨ #WitchsBrewFrappuccino 📍US, Canada & Mexico, while supplies last What else is in this mystic brew? Here's the formula, for all to view: Orange crème flavored @Frappuccino, a splash of purple, a dash of green chia seeds, a pinch of green “lizard scale” powder. You can also share posts to your Instagram Stories (explained in the next section) – but videos in Stories are limited to 15 seconds or less. Instagram Stories let you share collections of content with your followers. Stories are also an excellent way to boost engagement from your audience. 1/3 of the most-viewed Stories are published by businesses and 1 in 5 Stories leads to a direct message. Many Stories consist of people posting clips from a “day in the life,” behind-the-scenes content, or moments from real-time events. However, you can use Stories in many ways. You can also use Stories to inform followers about your business or promote your products and events. For example, you can also use Stories to inform followers about your business or promote your products and events. 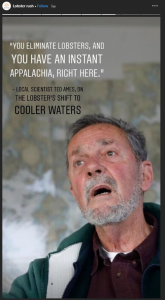 The Reuters News Story below, “Lobster Rush,” includes 8 sections that tell an actual story – like pages in a book. 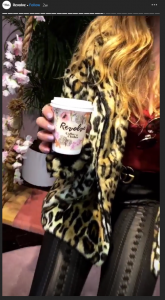 One partnership, @coffeenclothes and @Revolve, combined clothes shopping with a pop-up coffee store for a successful offline promotion. 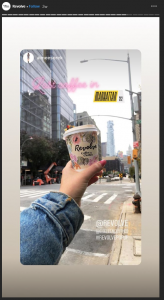 Then, the companies used a combination of images, videos, and Instagram features (such as stickers and hashtags) to bring their Story to life. Stories disappear after 24 hours unless you “highlight” them. Highlighted Stories remain on your profile until you remove them. Instagram Live is a tool that lets you broadcast live video to your audience. Live videos can be up to 1 hour long. Livestream videos disappear at the end of the hour unless you share a “replay” to one of your Stories. Followers can comment on your live videos in real time, and they can also subscribe to push notifications so they know when you’re live-streaming. 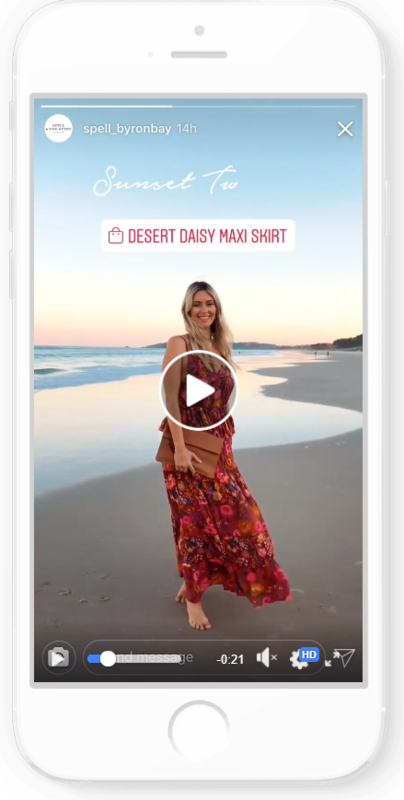 Instagram TV, or IGTV, is a new app that was launched in the summer of 2018. 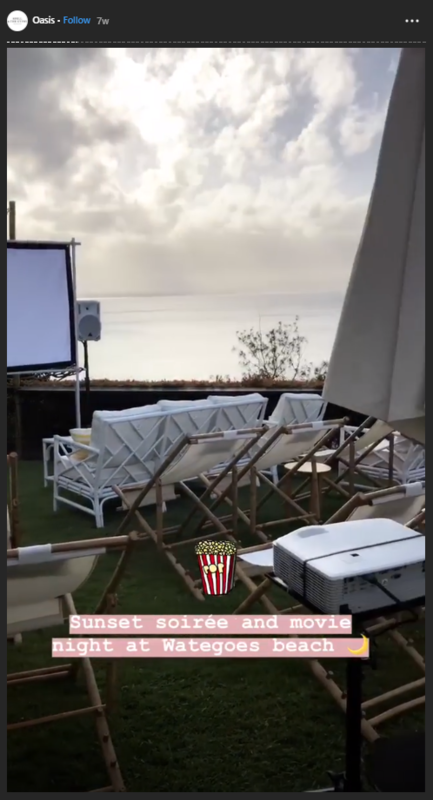 The IGTV app is separate from Instagram, but the 2 platforms are connected. When you publish videos to IGTV, they show up in your followers’ news feeds. IGTV lets you create your own TV channel where you can publish long-form videos. On IGTV, you can publish brand videos that are up to 10 minutes long (or 60 minutes for verified accounts). Instagram paid advertising can help you reach new people so you can grow your audience or promote campaigns, events, and products. Promoted posts are the easiest way to advertise on Instagram. 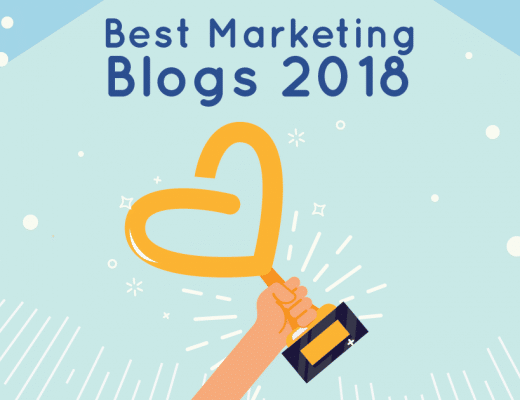 Similar to Facebook’s boosted posts, Instagram’s promoted posts share your best content with a “look-alike” audience to expand your reach and grow you following. Promoted posts can be purchased within the Instagram app by tapping the “Promote” button beneath any of your posts. Balancing organic posts with paid advertising is the best way to grow an audience on Instagram. Before you start creating content for Instagram, there are 3 steps you should take to ensure your success on the platform. A social media strategy is an internal document that lays the groundwork for your success on social media. 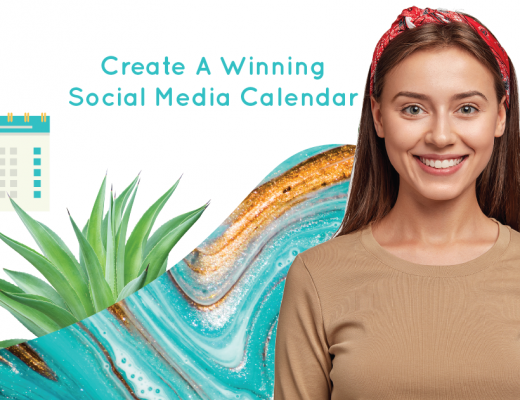 It’s a guide that defines your goals and KPI’s in a way that guides your day-to-day operations across all social media channels. If your business already has a social media strategy, then you’ll refer to that document for guidance as you develop your Instagram content. If you don’t have a written social media strategy yet, try to write it before you jump into creating content for Instagram. Clarify these points before you get started, so your investment of time and $$$ pays off! Your social strategy doesn’t have to be fancy or elaborate. A documented social media strategy forces you to make concrete decisions ahead of time. Knowing your goals, purpose, and audience in advance means your creativity gets channeled in the right direction once you begin publishing. This lets you focus your energies on creating amazing Instagram content once you get started. No matter how small or large your business is, a written social media strategy is crucial to successful Instagram marketing. Creating a business account is free and opens up more features that help you to grow your brand. The quality of your Instagram profile can make or break your success on Instagram. Take the time to learn how to create an Instagram business profile with proven tips and techniques from experts. 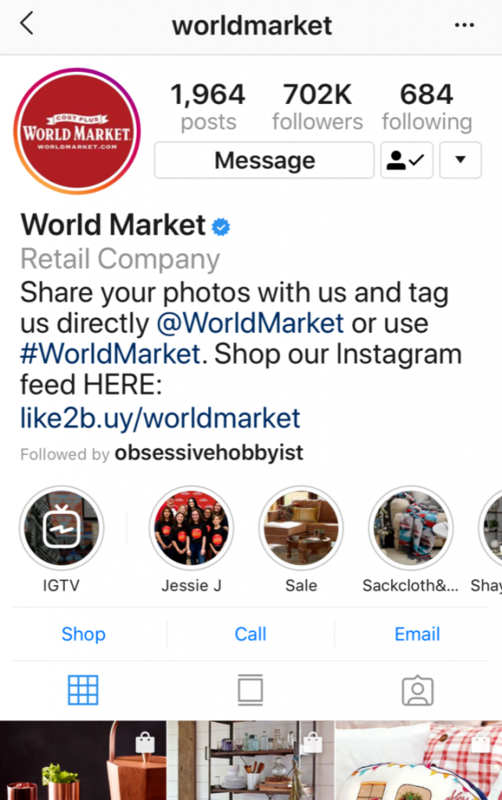 For example, World Market has an excellent Instagram profile that includes nearly all of the points mentioned above. 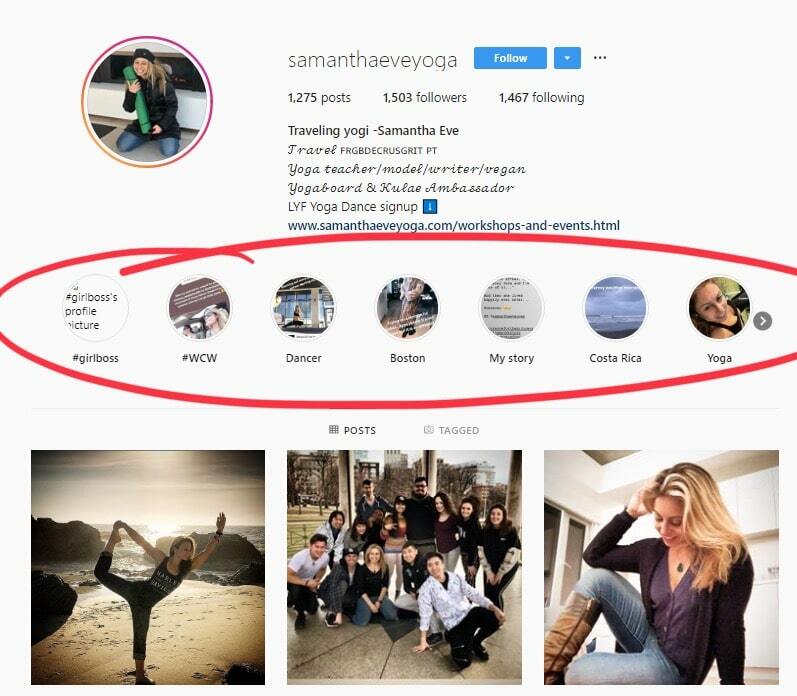 It’s well worth your time to learn how to create a high-converting Instagram profile before you begin creating content. Proven tips and techniques from experts can save you months of experimenting – help you achieve success much quicker. A well-optimized business profile can be enhanced by pinning Stories to the profile. “Highlights” are Stories that you pin to your business profile. Unlike other Stories, Highlights don’t disappear after 24 hours. Instead, they remain on your profile until you remove them. For example, New York University uses Highlights to share the information students want most. Each of NYU’s Highlights contains a different collection of information. Topics range from virtual reality to cybersecurity, Comic-Con, opioids, and more. Crate and Barrel uses Highlights to showcase various categories like weddings, cocktails, pets, and kids. There’s no limit to how many Stories you can highlight. Highlights dramatically improve your business profile and should be used by all brands! Use Highlights to enhance your business profile with Stories that inform or entertain your visitors. Stunning images and breathtaking videos are what Instagram is best-known for, so you want yours to be gorgeous. You work hard to create high-quality posts, so you want to see some $$$ return $$$ on your investment. If you’re an online retailer, there’s one more post feature you must take advantage of – Shoppable Product Stickers. If you’re an online business that sells retail products, you may be eligible to add shoppable product stickers to your posts. To find out how to get approved so you can create a product catalog and add shoppable stickers, visit Instagram for Business. Instagram Stories bring your content to light, and adding stickers can help dramatically boost your engagement and reach. Here’s a list of the top 7 stickers for Stories and how they can help enhance your content. Questions stickers are an interactive tool that encourages your viewers to ask you questions. When you add a questions sticker, you personalize a message prompting followers to ask you something. Once you publish a Story with a question in it, you can swipe up within the Story to view questions people have asked. Then, tap on a response to answer a question – which also shares it to your Story. Use Questions Stickers to encourage interaction during your peak hours (when your audience is most likely to be online). Use them to encourage interaction during your peak hours (when your audience is most likely to be online). Add a soundtrack to your Story by tapping the music sticker and searching for a song. Music stickers aren’t a popular option for businesses because they don’t encourage engagement, reach, or conversions. Use them carefully and only when they’re a fit for your target audience. Collect votes and opinions from your audience by adding poll or emoji slider stickers to your Stories. These stickers allow you to form your own questions and (multiple-choice) answers. Your viewers will be able to see real-time results as they vote. Questions stickers are an easy way to engage your audience. They’re an excellent tool for brands because they help you get to know your audience better. Use questions stickers when you want to boost engagement or gather data about your followers. Adding a location sticker to your Story can be a great way to drive local traffic to your brick-and-mortar location or event. When you add a location sticker to your Story, the post will show up in a location page. When people on Instagram are searching for things to do in your area, they explore posts that have been tagged with their location. 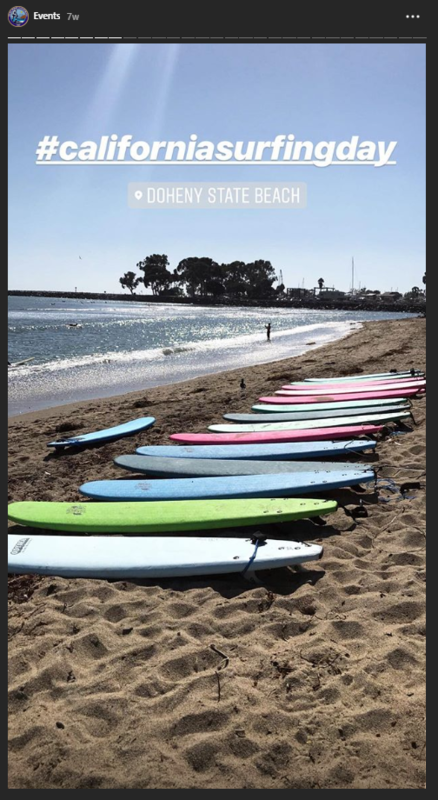 Tapping the location sticker brings users to the Doheny State Beach location page, where they can browse local places and events. Adding your business to the location feed gives you more visibility, which can help you to grow your audience and boost its conversion rates. Location stickers are an excellent way to convert followers to in-person customers. Use them frequently if you’re a local business looking to drive foot traffic to a place or event! Punch up your Story’s personality by adding a GIF animation. In the example below, you’ll notice a GIF sticker – a box of popcorn that wiggles back and forth when viewing the Story. Use GIF stickers for aesthetic reasons or to draw attention to a CTA. Product stickers give you a direct conversion path for selling on Instagram. 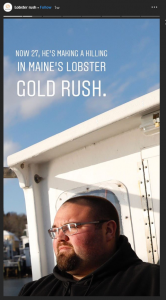 Add a product sticker next to an image of the product in your Story. When a user clicks on it, they’re taken to a “product details page” that includes a direct link to the product on your website. Before you can add product stickers, you must be approved by Instagram. Once approved, you need to create a Facebook product catalog or add a Facebook shop through BigCommerce or Shopify. When your setup is complete, you’ll be able to add one product sticker per Story. 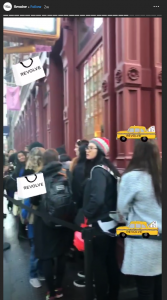 Note: You can also add shoppable product stickers to Instagram posts, even if the post isn’t part of a Story. This makes it worth the effort to become approved and create a product catalog. Product stickers are a fantastic way to convert your Instagram followers into customers. 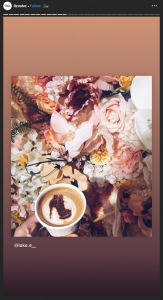 You can add one shoppable product sticker per Instagram Story. If you’re selling products online, product stickers give users an easy path to conversion. Use product stickers to boost your conversions and sell more products. Clickable hashtag stickers are a popular way for brands to expand their reach and grow their audience on Instagram. When you add a hashtag, it drops your post into a hashtag feed where other people can discover your content. 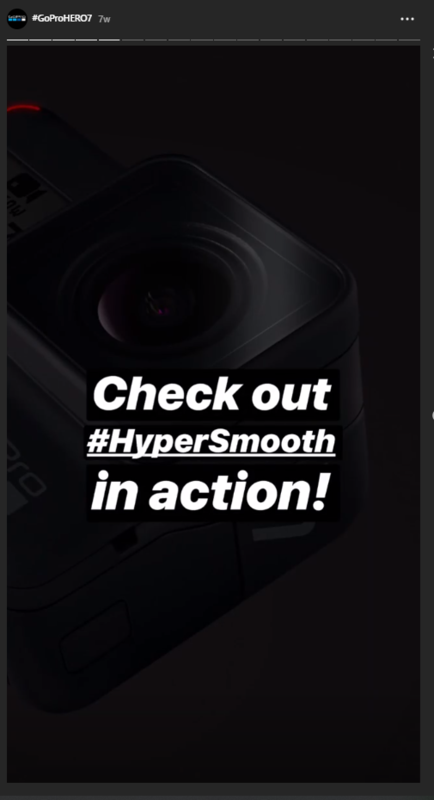 For example, GoPro includes the hashtag #HyperSmooth in one of its Stories. 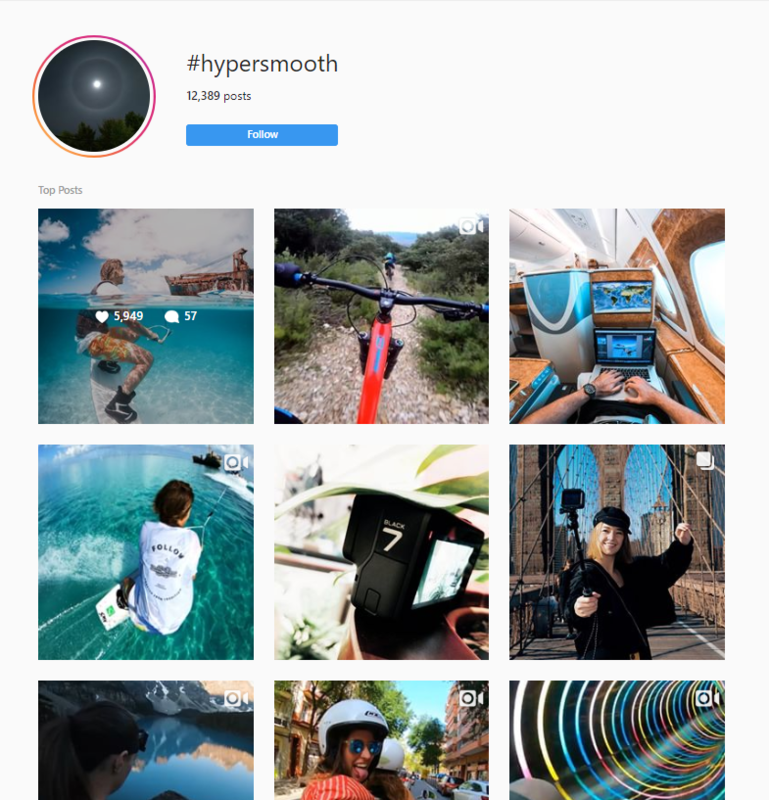 When a viewer clicks on the hashtag or searches for #HyperSmooth, they’re brought to a feed of posts that are tagged with the same hashtag. Viewers also have the option to follow the hashtag and see all new results in their feed daily. Hashtags are an excellent way to reach new people and build your audience on Instagram. Before you include hashtags, do your research to find high-performing hashtags that will engage your target audience. Hashtags are used to help expand your reach and gain more followers. If you use them correctly, they can be a powerful tool that helps you gain more followers. However, many brands use them randomly (without intent or research) or spam hashtags in their posts. Using hashtags in this way can hurt your engagement and visibility. Instagram features to improve your content’s performance. All of Instagram’s features help to boost your engagement, conversions, and reach on its platform. Ultimately, you want your content to get seen in the newsfeed and discovered in the Explore section. Instagram’s algorithm decides what content gets the most visibility. Interest: Your content is shown to people the algorithm thinks will be interested in it. Recency: The most-recent posts get priority. Relationship: Your content will show higher in the feeds of people you most often engage with. 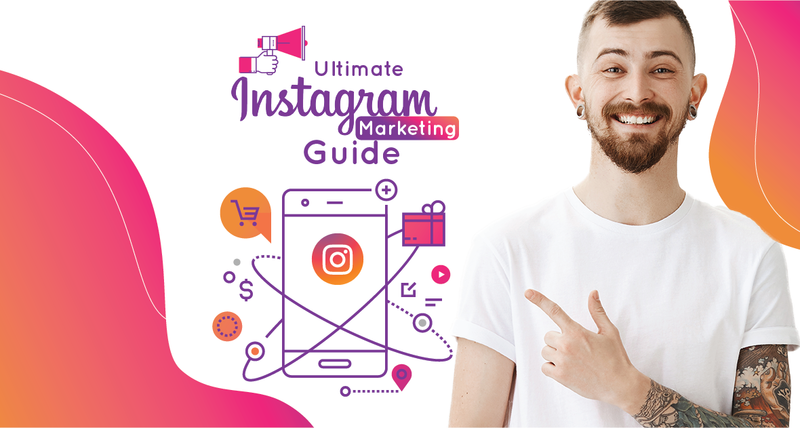 While hashtags and stickers can help expand your reach on Instagram, you might want to take your marketing efforts a step further if you intend on building a large following. To grow a large Instagram audience quickly, coordinate your efforts across a variety of platforms. Here are 9 ways to grow your Instagram following. Promoted posts and ads let you target “look-alike” audiences to reach people who have characteristics similar to your current followers. This is a great way to reach your ideal audience! Partnering with an influencer is a powerful way to expand your reach. 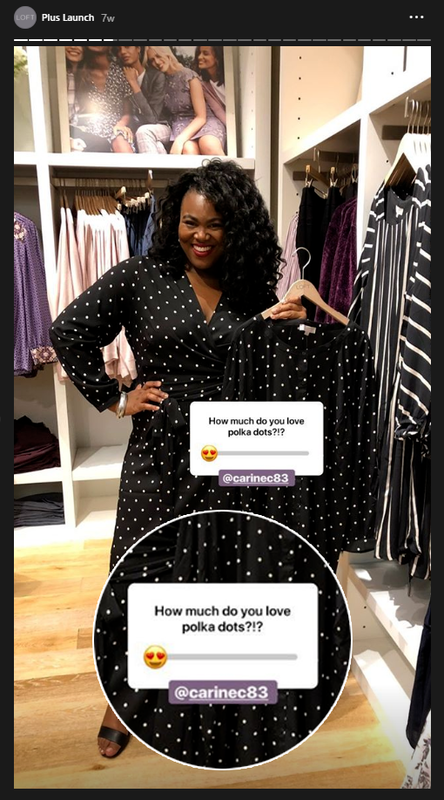 When you join forces with an Instagram influencer, you expose your brand to a whole new audience and improve your engagement rates at the same time. Instagram influencers are within reach for any-sized business and can help to grow your audience rapidly. Promote your Instagram business account on other social media channels by including a link in your Facebook, Twitter, and other social media profiles. Pitch to journalists, writers, and bloggers to solicit press coverage that ties back to your Instagram account. Email marketing is a great way to promote your presence on Instagram. If you already have an email list, be sure to encourage subscribers to follow you on Instagram! Have you included an Instagram icon on your website? Be sure to encourage your website visitors to visit you on Instagram! Or, take it a step further and embed an Instagram feed on your website. Instagram’s developer pages documents provide instructions for embedding Instagram content. If you use WordPress, search for a highly-rated plugin that can embed Instagram content onto your website. Coordinate your Instagram promotions with all the other ways that you market your business. For example, if you use print, outdoor, or broadcast advertising, consider including a plug for your Instagram account with those promotions. Stories are one of the best ways to grow your audience, so getting them in front of new people is a must! Getting more viewers to your Stories will help increase your reach and grow your brand’s audience on Instagram. User-generated content is a powerful way to expand your brand’s reach, grow your audience, and engage your followers on Instagram. Even though Instagram doesn’t have a one-click reposting feature, you can still repost (“regram”) content on Instagram in seconds. 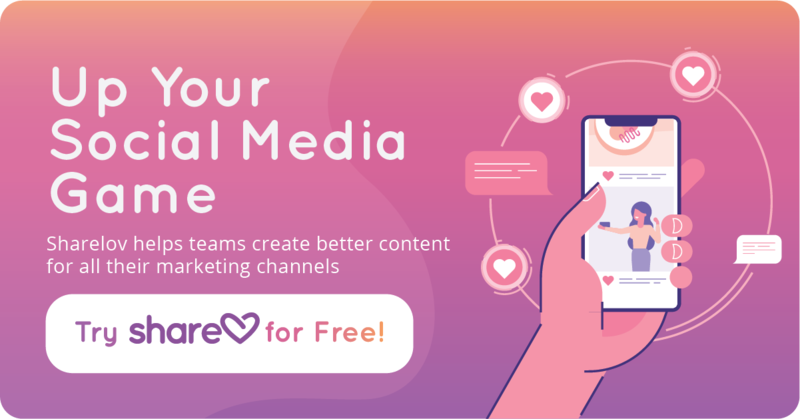 Create campaigns that encourage user-generated content, and regram that content to your own newsfeed on a regular basis! Now that you know what Instagram for Business is and how you can enhance your content, let’s take a look at how you can get started marketing your brand. 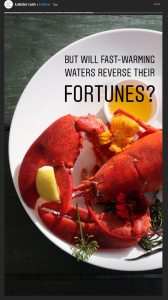 Why are you marketing on Instagram? Remember, popularity doesn’t do any good if you can’t convert it to monetary $$$ results. Hopefully, your content will do a little bit of all the above, but it’s important to focus your efforts toward one goal. This helps you synchronize intent of all your marketing efforts on Instagram. Part of choosing a goal is choosing key performance indicators. KPI’s help you define the results, so you know what is or isn’t working later down the road. Your answers to the above questions should align with your social media strategy. Know your objectives and understand your KPI’s to ensure that you and your team remain focused on Instagram marketing content that produces the best possible return on your investment! Before you begin planning your day-to-day content, create a monthly theme or topic calendar. Your balance of content and topics will rely on the frequency of your publishing. How often will you post, and what are the best times for your brand to post to Instagram? Before you get started planning day-to-day content, research the best times to post to Instagram for your industry. This way, you can post when your audience is most likely to engage with your brand. Consistency and Quality are Key to Success on Instagram. How often you post to Instagram should depend on one main factor: How often can you produce quality content consistently? It doesn’t help your brand to publish content that people don’t want to engage with. In fact, it can hurt your chances of getting seen in the newsfeed if your audience doesn’t love your content. Above all, publish only as often as you can create stunning, engaging content that your audience loves. In the next section, we’ll explain how you can do that. In this step, you begin planning your Instagram content in more detail and choose 2 or 3 of the hashtags that will accompany all of your posts. This is also a good time to consider planning an Instagram marketing campaign. Campaigns last 3 – 6 months and usually revolve around a specific promotion, contest, or theme. Choose brand and campaign hashtags to accompany all of your posts and Stories on Instagram. 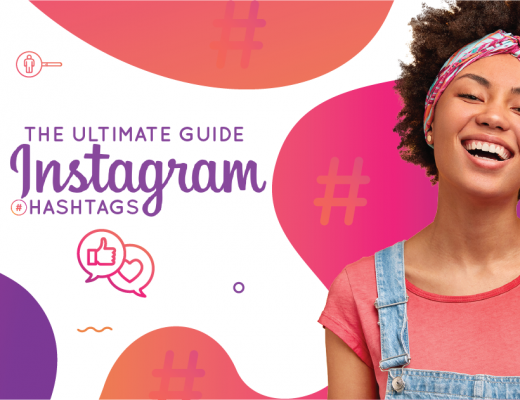 You’ll add more hashtags as you create your day-to-day content, but the brand and campaign hashtags are the ones that will be used universally with nearly all your Instagram content. Many companies add a long list of random hashtags to their posts, thinking it will improve their chances of success. But, that’s not the way hashtags work. More hashtags don’t always equal more success. What makes hashtags effective is your ability to choose, research, and use them in a way that brings more people to your profile. Before you start typing #RandomEverything, take time to understand how hashtags work and how to make them work for you. 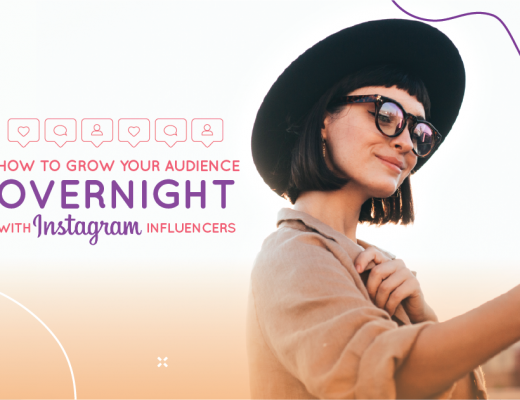 Use Instagram Influencers to grow your audience and boost your engagement rates. Also, keep Instagram in mind when you’re promoting on other social media channels. For example: consider using your Twitter profile link to send people to your Instagram account. Or, encourage Facebook followers to view your brand information in the highlights on your Instagram profile. Always respond to customer comments. Track and measure the results of your Instagram marketing efforts with Instagram Analytics. Following up on your content is the most important step in your marketing plan. Since most of your efforts will focus on boosting engagement rates, it’s important that you cultivate that connection with followers. Acknowledge every comment so that people know their voice is appreciated. Finally, measure the results of your efforts so you can continually adjust to what works best for your audience. 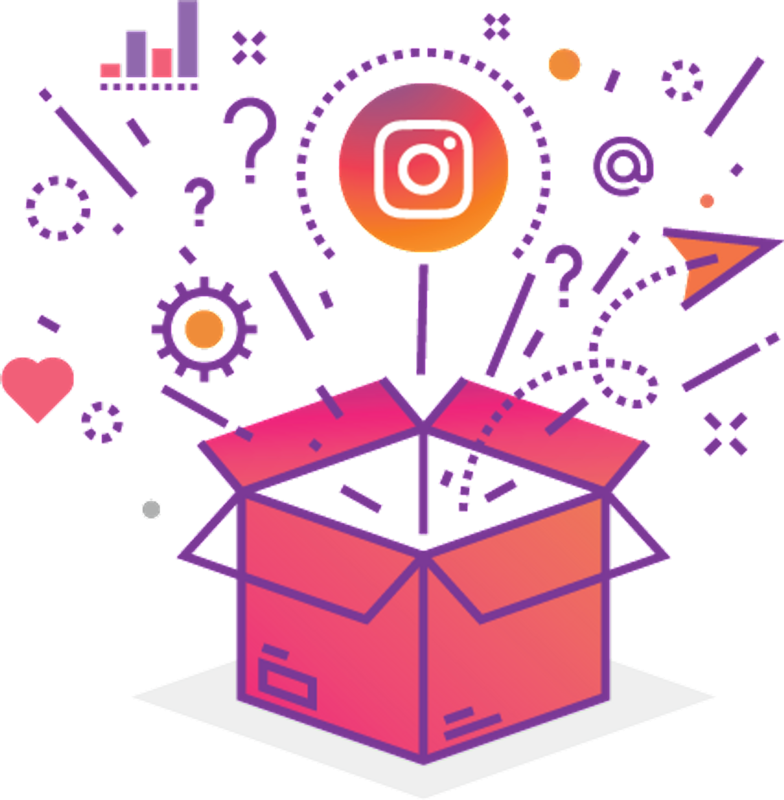 While other social media platforms are making it more and more difficult for brands to build an audience, Instagram is working overtime to give you a shot at succeeding on its platform. Ding. Ding. Ding. Ding….. That’s the sound of one new Instagram feature after another being released in 2018. Many of them were created to help you succeed at marketing your business. 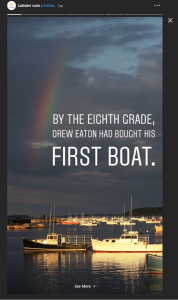 When marketing on Instagram, create a lot of Stories. Add stickers to increase engagement. Create beautiful posts and interesting videos. Stay consistent in your publishing schedule so you can build trust with your audience. Most importantly, deliver high-quality content that your audience LOVES to engage with. Every day, Instagram’s 25 million brands compete for the attention of over 1 billion active Instagrammers. When you take time to plan, you give yourself a 429% advantage over the competition. There’s still plenty of opportunity for all-sized businesses to build an active audience on Instagram. 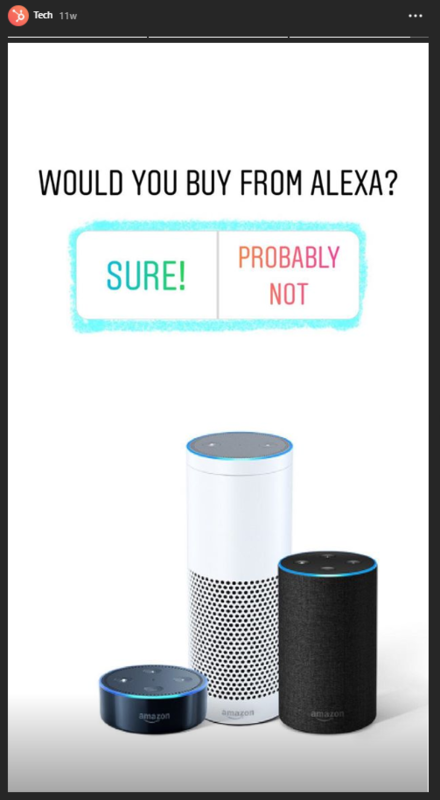 We’d love to hear how it goes for you! Drop us a line in the comments below and tell us what’s worked for you!